I've found them to be a little bit more expensive but, so far, to have high quality parts. I wanted a color sample for interior soft goods and they sent me actual pieces of material - not a piece of paper printed from a color printer. They have a minimum order which isn't always ideal when you only need small pieces. I purchased and installed a red interior in my 63 Futura. Bucket seat covers for the seat back were too short by about 3 inches. I went around and around with them about this and ended up just living with it. Well, now a year or so down the line, the vinyl has turned light brown on all areas that have seen the sun. Brown to the point it really stands out. These covers are a joke and I will never do business with them again. I don't really have a "gripe" about Dearborn. My problem is mostly them having what I'm looking for. Of course I have to add that on one occasion they were the only ones who had the item except it had to be special ordered so I guess I'll stick with my original "good" rating! 63 Sprint HT AACA Sr.
Dearborn is good, unless you have a problem with a part or shipping cost, and then they get very bad, very quickly. I've been burned twice over the years by that, and the fact that I had bought thousands of dollars' worth of parts moved them not in the least. They once sold me a sway bar for a 390 Fairlane that absolutely didn't fit - ran hard into the oil filter. And then wouldn't take it back, because "It fit the car that they tested it on". I asked for pictures of that car with the bar in place, and they couldn't provide them, surprise, surprise. Then they told me to just run a remote oil filter - on a 99 point correct restored show car - and all would be fine. Uh, NFW dude. Then they said that they would take it back, but I pay return shipping and a 20% restocking fee. Finally, I had to send them a very terse email, threatening to share this entire experience, in detail, with Bob Mannel, the editor of both the Fairlane Club of America newsletter (to date, the best car club newsletter I have ever seen), and the Mustang and Ford small block V8 book, by far the best book ever written on the subject. I also included the Biblical passage that they had printed in the inside front cover of their catalog, and ask them WWJD. That worked, they paid return shipping, didn't charge a restock fee, and didn't give me any more hassle. But it took a threat, which I don't like to do. So now I use other vendors that have a good rep here, and I've not had such problems since. They have been good to me. Quick service and sometimes they are the only source for an item. But would like to see them expand their product line. I have had excellent service when buying products from Dearborn Classics. They are a bit more expensive than other places, but their parts are of such high quality. I do wish they would carry more parts for the 1960 Falcon, but I realize that the 1960 model is not as popular as the others. Katie. Failure is delay but not defeat. It is a temporary detour, not a dead-end street. I have purchased a few things from the USA and I am getting to know what reasonable shipping costs are. 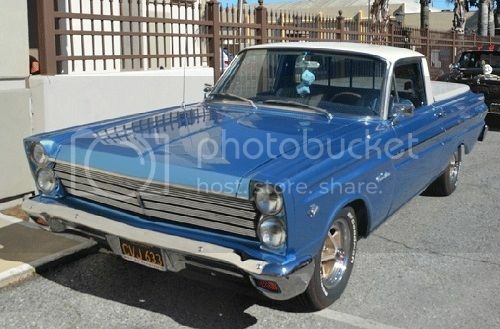 I am currently looking for a front parking lens ( amber) for a 63 Comet which will fit my Aussie Falcon and was referred to Dearborn Classics. Sure enough they had the lens for $29.95 USD which is OK I suppose considering they are rare as rocking horse poop here. I used their online shipping calculator and... What the ....70 USD. You're kidding. So I rang them on Skype this morning my time and although they were helpful they confirmed that was the shipping fee. Well I I informed them that I shipped a 63 Comet centre console for about 150 from NY recently. Also I purchased on eBay one Comet lens and the housing for 15 USD which will be shipped from Canada for 18 USD. They did offer ( after speaking to a supervisor) to drop the shipping to 39 USD but even that is too dear. I don't mind paying for quality but not with the add ons. Man, the lens weighs nothing, and it is very small. I just don't know how they could charge that much. I know shipping includes a handling component, but 70 USD. I declined the purchase. I am the Nightrider! I am the chosen one. The mighty hand of vengeance, sent down to strike the unroadworthy! Last edited by BJB on Tue May 17, 2011 11:47 pm, edited 1 time in total. I do not buy anything from Dearborn as other vendors have the same part at less cost and less shipping cost. Mac's has a lens for $18 and a international air shipping fee of $24 for $20 or less items. There is probably custom and fees that I know nothing about. Check with Mac's to see what they tell you, but there is also Melvin's in Georgia and Falcon Enterprises in California to check pricing from vendors. This is a Dearborn topic good or bad, so any other info should be another topic on TFFN. I did look at those sites but stumbled across a NOS lens on eBay and postage was just under $10 from Kentucky. It is obvious that some businesses charge a 'handling' component in their postage charges..
Is that the retail price of the unit or the entire price including postage. My gripe was the exorbitant postage charges. I mean, initial price 70USD, then reduced to 39USD when I can get the same item shipped from the US and Canada for under 20 USD. I recently ordered several items from Dearborn - mostly because they had everything I needed and they price matched. I got everything really quick except for the headliner which they said was on backorder. That came about 2 weeks later. I was concerned about whether or not the headliner would match the sunvisors I also bought from them - they said I could return either or both if they did not match. As it turned out, they matched fine - no issues. I will say though, that I thought the shipping was pretty high. Although, I think all the shippers are raising prices again due to the high gas prices. I ordered from Dearborn for the first time and was pleased with the ordering process. I had a question about A part and they sent someone to the warehouse to check that the seatback emblem I was ordering had the backing plate and nuts included as one of the other vendors I called did not or even have them available. the shipping was a little high, for 1 seat back emblem was $9.50. In comparison I just purchased 2 Repro. Falcon fender scripts from an Ebay vendor and priority shipping was only $2.48. I had never used dearborn in the past because their prices were much higher than other sources but since the Ekler group bought them out they are in line with everyone else and have a price match guarrantee. UPDATE.... shipping and communication were a little slow. 8 days shipping for and 8 hour trip. the seatback emblem had the retaining nuts but not the backing plate like I was told by the salesman. I did call to ask about the backing plate and they said the salesperson was mistaken that the plate is not avalaible. also the emblem was packed in the same pouch as the nuts which scratched the chrome finish on the emblem. I think I will stick with Falcon parts or Macs unless I can't find the part anywhere else. I am having a horrible time with Dearborn. They have completely messed up my order. Ever since they were bought out by a company in Florida I have heard nothing but poor reports about them. I urge everyone to be cautious about doing business with them. I purchased a Falcon years ago (And very quickly realized how over my head I was and sold it to a capable Falcon lover) and bought basically the entire interior from Dearborn. As I didn't put any of it on, I cannot speak for the fit or wearability. It was high shipping but they were good to work with. I do agree that they are not willing to take returns easily. I didn't realize the rear seat and the car were different years. While that was definitely my fault, they would not take the seat cover back. On the topic of quality, the only thing that I thought looked cheap were the door panels. They were for a Futura so they had the silver. It looked very aluminum foil-like. No, I do not want to 'trick her out', 'rev her up', 'pimp her out', or add flames to her sides. She's a working girl. Now back away, you're getting testosterone on her paint!